Ha! I bet you thought I had forgotten! Nope ... it IS summer and my girls kept me busy all day 😄. 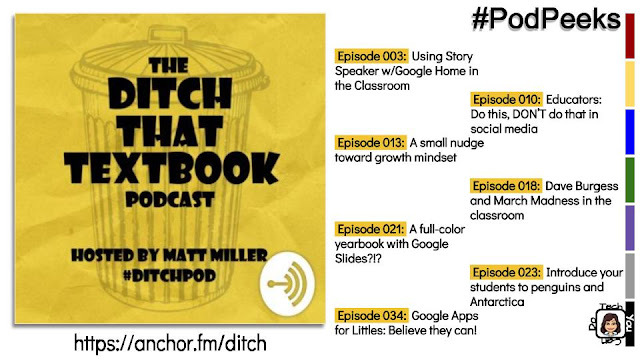 Today's #TechYouCanDo podcast I want to highlight is by Matt Miller (he gets a 2-fer this week!) also of the Google Teacher Tribe podcast. His stand alone podcast is truly an inspiring one for me because he shares his thoughts all in roughly 5 minutes! The little "nuggets" are quick and easy. There are 74 podcasts available as of today so you have plenty to listen and learn from.